Creating a story world is like being captivated by a stranger’s face through a rain-soaked window, or traveling through an unfamiliar countryside blanketed in heavy fog. There’s a hint of what’s on the other side of the glass or the haze, but you can’t see everything clearly. But because of that very thing, your imagination is given the freedom to paint the picture you most want to see in your mind. If you could wipe the glass clean or burn away the fog, you might discover that the story world in question is part fact, part fiction. This is true of the story world I created for my Natchez Trace Novel series set in the 1790s. Each story begins in Natchez-Under-the-Hill, touching on some of the aspects of the seedy wharf and making reference to actual streets that were already laid out at the time. Governor Gayoso, his future wife, Elizabeth Watts, and his secretary, Stephen Minor, make cameo appearances. 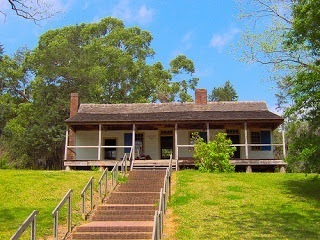 My characters travel along the Natchez Trace, stopping at a tavern called Harper’s Inn. This particular inn is fictional as I wanted it to be a very rough establishment. Mount Locust, on the other hand, which was a very respectable inn and is still standing to give visitors a look at what inns (also referred to as stands) of the day consisted of, is also mentioned, giving anyone familiar with the area a yardstick by which to gauge where my characters are as they travel back and forth along the trace. It felt natural to include Mount Locust in my story world. My characters don't spend much time there, but each book mentions the inn and the characters pass by it several times during the course of the series. It's a good landmark to give authenticity and a benchmark location. 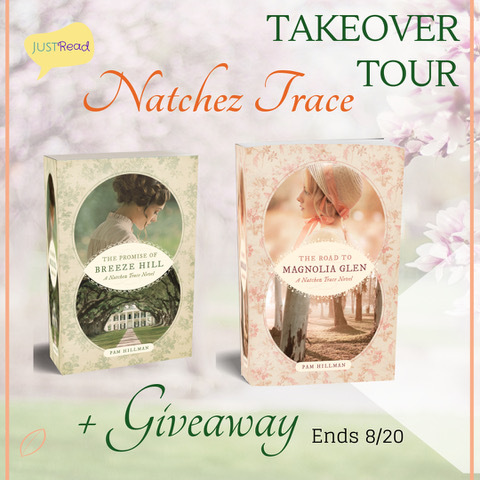 Breeze Hill Plantation is fictional, but if pressed, I could take you twenty miles north of Natchez along the old trace, find a hill surrounded by rolling countryside, and claim it as the spot where Breeze Hill would have stood. 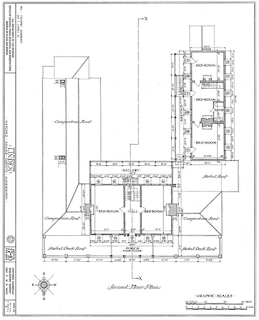 The plantation home itself is based loosely on the floor plan and design of Linden Hall, part of which was constructed in 1785 and is located in Natchez proper to this day operating as a Linden Hall B&B. Most of the other plantations, homes, and businesses sprinkled throughout the series are fictional. 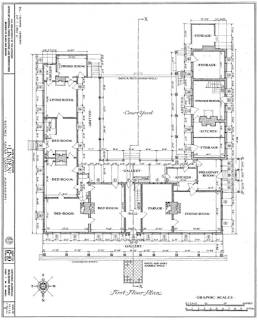 Another thing I found was the floor plans for Linden Hall. They were invaluable in picturing where the rooms were back in the day and assigning said rooms to my characters. Again, Breeze Hill is fictional, but the floor plan and the U-shaped house is real. 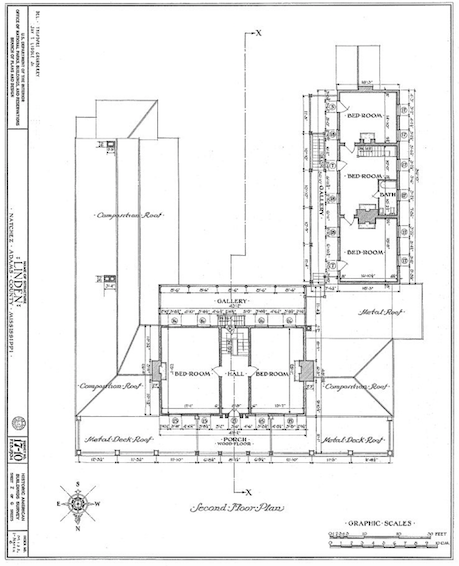 As I wrote both The Promise of Breeze Hill and The Road to Magnolia Glen, I kept the floor plans and the location of the outbuildings close at hand. Why use a real location? Readers are anchored in the story when an author uses a real town, country, or geographical location that they are vaguely familiar with to set the stage. It might be as broad as “the Mojave Desert,” or “London, 1845”. With the reader anchored solidly in fact, the author can then add in a fictional ghost town or fort at the edge of the desert, a small millinery tucked on an unnamed side-street in London, or even an entire plantation along the Natchez Trace in 1791. And then the fog lifts, allowing the reader to see the story world clearly. Very interesting! I love this look into your world. Thanks! I love this look into how a creative writer's mind works. I appreciate you sharing this thought about developing a story with our imagination with the comparison of fog or rained soaked window. Thank you so much. Blessings. I want to read this series with all the history. Marilyn, isn't that the truth. Riding along in a car, train, plane, and watching a scene that's a little hard to see and your imagination goes wild, doesn't it? This was a very interesting post. 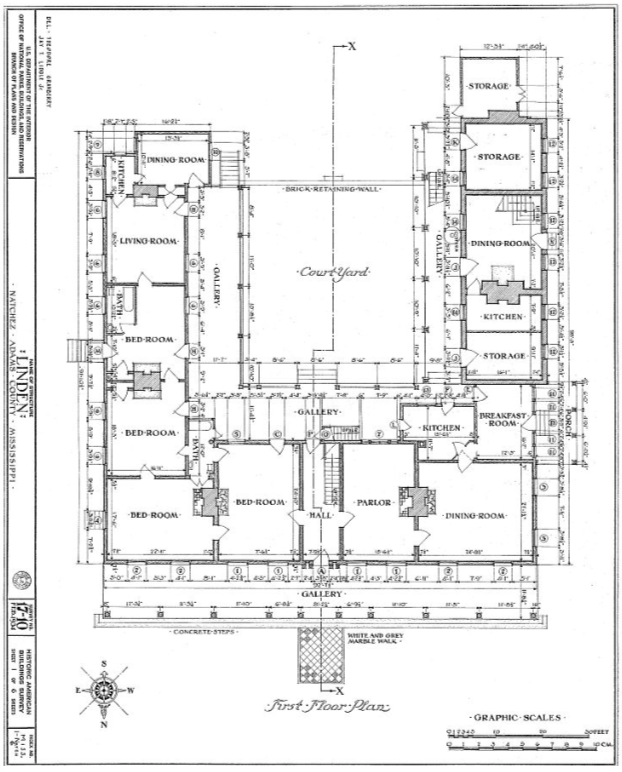 I really liked that you included the floor plans. The Promise of Breeze Hill is a very good book so I'm wanting to read The Road to Magnolia Glen.